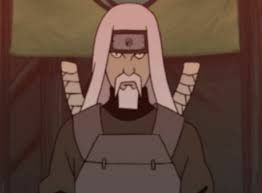 Ashina Uzumaki led the Uzumaki Clan when Konoha was discovered by Hashirama Senju and Madara Uchiha. He seemed to be exceptionally skilled in sealing jutsu as shown in the anime series. He’s also been shown sealing a monster away that too with ease. He also possessed a sword, so it’s possible that he also mastered kenjutsu. Kushina Uzumaki was born in Uzushiogakure. She was moved to Konohagakure and admitted into the academy. She was selected to be the jichuuriki of the nine tails, because of her unique chakra. Kushina was famous for her beauty and her amazing skills in fūinjutsu. Eventually, she got married to Minato Namikaze who became the fourth Hokage of the leaf.